On the Jammu-Srinagar highway near Nowgam in Srinagar on Sunday, the movement of traffic was thin. Civilians were stopped at a barricade, as armoured vehicles remained stationed on the road and concertina wires had been rolled out. The army and paramilitary personnel did not allow people to proceed to south Kashmir without security passes. 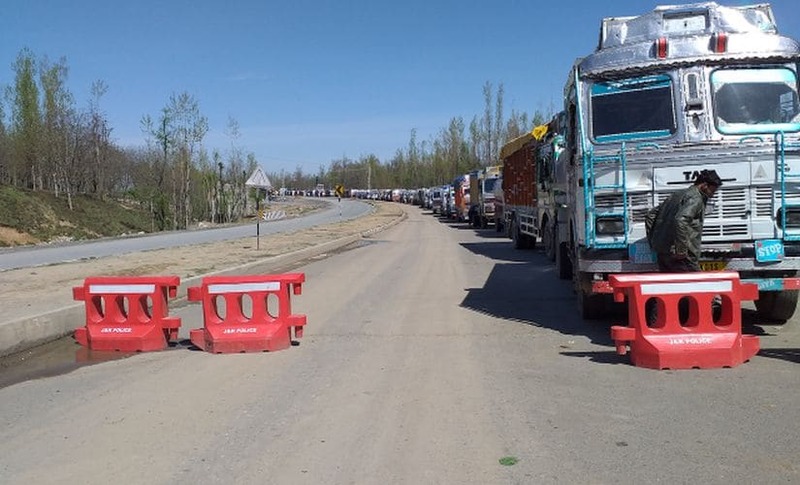 As restrictions kicked in on the movement of people on the Srinagar-Jammu highway, the only road link between Kashmir and the rest of India, the areas along the road witnessed a lockdown. People were stranded on the roads, while political parties expressed their rage over the ban on civilian movement on the highway. 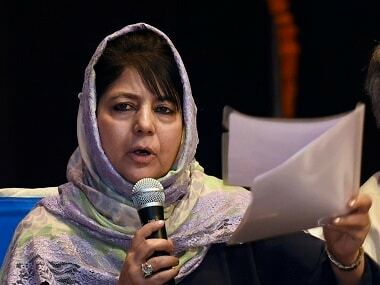 The government has decided to restrict civilian traffic from 4 am to 5 pm on Sundays and Wednesdays on the highway till 31 May, with the authorities stating that this was done to ensure that elections to the three Lok Sabha seats in Kashmir are conducted smoothly. 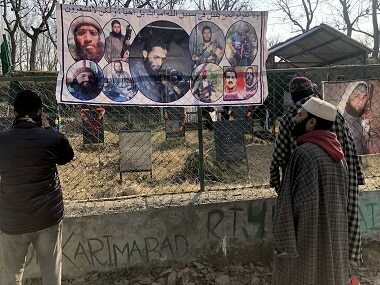 The ban also comes in the aftermath of the 14 February attack on a Central Reserve Police Force (CRPF) convoy, in which at least 40 paramilitary personnel were killed. 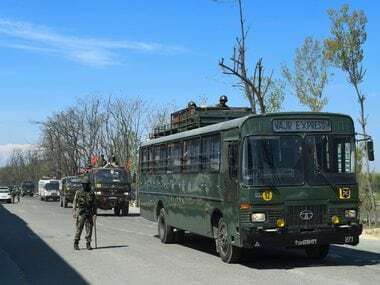 On Sunday, a driver, Farooq Ahmad Lone, was disallowed from proceeding to Anantnag with the passengers he had picked from the Srinagar airport in the afternoon. He said, “I have been stuck on the highway for the past half-an-hour. I have not been able to get a security pass." A tourist, Swadesh Ranjan Adhikari, and his family, which includes two children, were among those stranded on the highway. “We have to go to Pahalgam, but are not being allowed to proceed on the highway. We had heard that there will be no restrictions on the movement of tourists. But due to the blockade, our entire travel plan has gone haywire,’’ he said. A forest department employee, Nazir Ahmad, said, "The ban is not good at all. It is causing difficulties to everyone." A group of students who had appeared for an exam at Delhi Public School (DPS) for seeking admissions to the Aligarh Muslim University (AMU) said that they had to walk several kilometres to get to the railway station at Nowgam to travel to southern Kashmir. One of them, Zubair Ahmad Bhat, said, "This ban is a form of harassment. It is meant to oppress the people of Kashmir. I don’t know whether I will get the train to my home in Anantnag. I might get stuck in Srinagar, as vehicles are not being allowed on the highway. I will not get the time to prepare for another exam scheduled in the coming days, which is for admission to an engineering course." An auto mechanic, Nazir Ahmad, said that he will have to take a detour, which will increase his travel time from his workshop at Lasjan to his home at Tengan near Pampore by over 45 minutes. “I was not allowed to proceed to my home, which is along the highway, and now, I will have to take a longer route,” he said. At many intersections along the Pantha Chowk-Batamaloo stretch in Srinagar, patrolling has been intensified. At many places, spools of barbed wire lying on the roads hampered the movement of people. Government officials deployed for duty to regulate traffic admitted that people might face more hassles on Wednesday, when schools and offices will be open. “We have been issued a limited number of security passes. It will be difficult to manage the situation on a working day,” said an official who was deployed for traffic regulation at Peaks Crossing. “These are our roads and we have every right to travel on them,” she told reporters at Peaks Crossing, as her supporters raised slogans against the ban. “Kashmir belongs to Kashmiris. We have to seek permission to travel on the road. People are facing difficulties due to the ban. We will approach the court against this,” she said. Both the National Conference (NC) and the PDP took out separate protest marches against the ban.